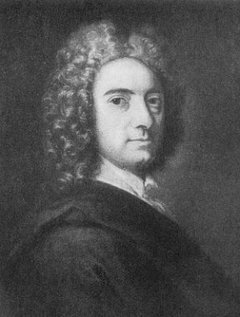 George Berkeley (1685–1753), also known as Bishop Berkeley, was one of the three great British empiricist philosophers. Born near Thomastown, Ireland, he was educated at Kilkenny College and attended Trinity College in Dublin, where he remained as a tutor and lecturer after the competion of his Master's degree in 1707. In 1734, he was appointed Bishop of Cloyne in Ireland. He is best known for his doctrine of immaterialism, the idea that reality has no material existence outside of the mind. Berkeley's major works include An Essay towards a New Theory of Vision, A Treatise Concerning the Principles of Human Knowledge, and Three Dialogues between Hylas and Philonous.